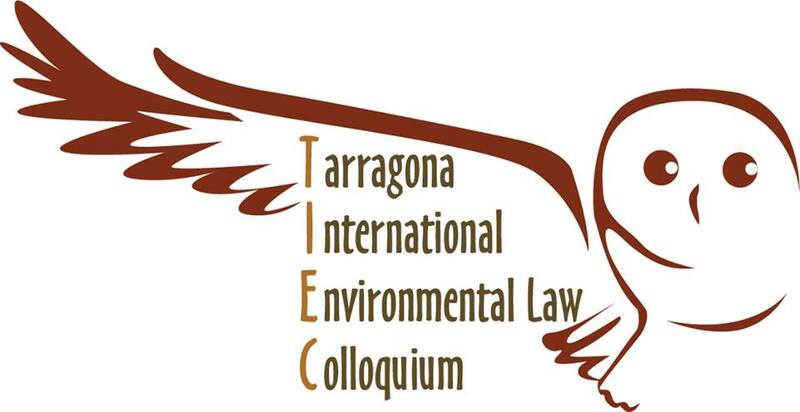 The IV Tarragona International Environmental Law Colloquium (TIEC) jointly organized by the Tarragona Centre for Environmental Law Studies (CEDAT-URV) and the Tarragona Environmental Law Students Association (AAEDAT) will be held on 27-28 June 2019 at the Faculty of Legal Sciences (Department of Public Law) of the Universitat Rovira i Virgili, in Tarragona, Spain. The CEDAT has gradually become a reference point for environmental law in Spain and Europe. Its objectives are to generate and socialize knowledge in the field of environmental law. In 2014, it hosted the 12th edition of the Annual Colloquium of the IUCN Academy of Environmental Law, which gathered researchers and academics from 56 countries across all regions of the world. At present, the CEDAT is involved in several national and international research projects. The AAEDAT is an association founded in 2009 by students and ex-students of the LL.M. of environmental law in Rovira i Virgili University. It promotes activities within the university community in order to further environmental and social values and create spaces for debate, reflection and exchange with other universities and research groups. The IV TIEC aims to provide a forum for junior and early-career researchers with different backgrounds in which to present and discuss their research and works-in-progress. In addition, this event seeks to create a friendly environment for meeting fellow students and colleagues that share a common interest for environmental law. The IV TIEC is an activity carried out under research project ‘Constitución Climática Global: Gobernanza y Derecho en un Contexto Complejo’ funded by the Spanish Ministry for Economy and Competitivity (DER2016-80011-P). We look forward to welcoming you in Tarragona for this Colloquium! Dr. Antoni Pigrau, Javier Francisco Arenas, Marcos de Armenteras Cabot, Stephanie V. Ascencio Serrato, Jerônimo Basilio, Clara Esteve Jordà, Beatriz Felipe Pérez, Daniel Iglesias Márquez, Paulina Junca Maldonado, Lorena Martínez Hernández, Mohammad Mohsen Masjedi, Gastón Médici Colombo, Laura Presicce, Itzel Ramos Olivares, Malka San Lucas Ceballos, Patricia Sangama Suazo, Jordi Serra, Isabel Vilaseca Boixareu and Paola Villavicencio Calzadilla.